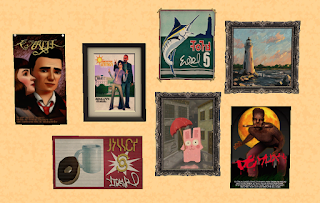 This the gift I created for Quest For Sims for Secret Santa 2015 on Garden of Shadows. 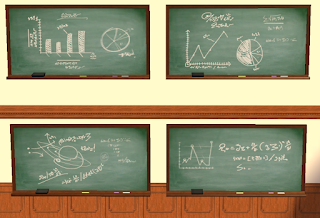 10 Blackboard recolours using doodles from Sims 3, on a mesh by Lin. Mesh and blank recolour by Lin included. 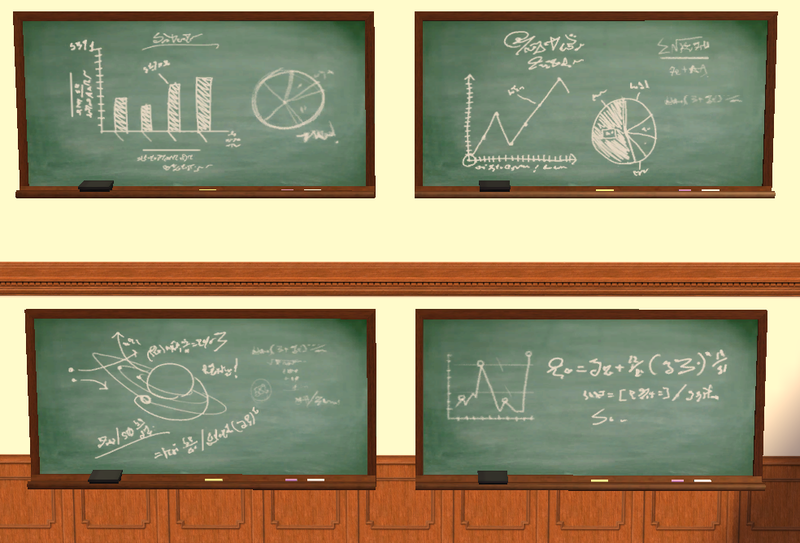 The blackboard is in Deco-> Misc. 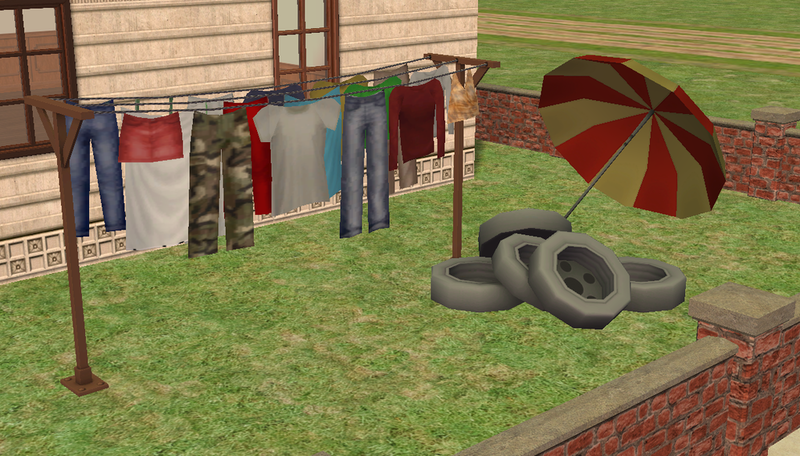 36 Clutter objects using TS2 and TS3 meshes, all in Deco -> Misc. 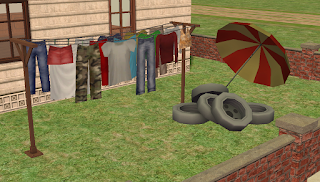 Some items have recolours, particularly the record, video game, and comic book. 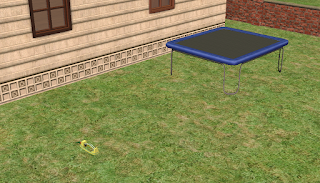 A trampoline cloned from a double bed (with all interactions other jump removed). Can only be used by Child Sims- as I think they are the only ones that can jump on beds. And a Sprinkler, cloned from the Water Wiggler (requires OFB). 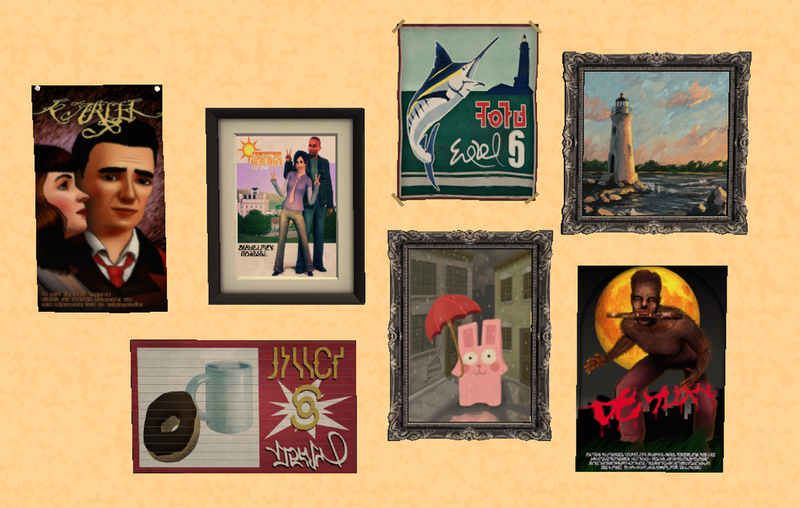 And, last but not least, various posters and pictures and TS2, TS3, and TS4 on 4 Maxis Meshes: Surfing the Universe (Uni), TravelKeeper Poster (BV), Bella Squared (Base Game) and U R Here (Uni, I think? ).